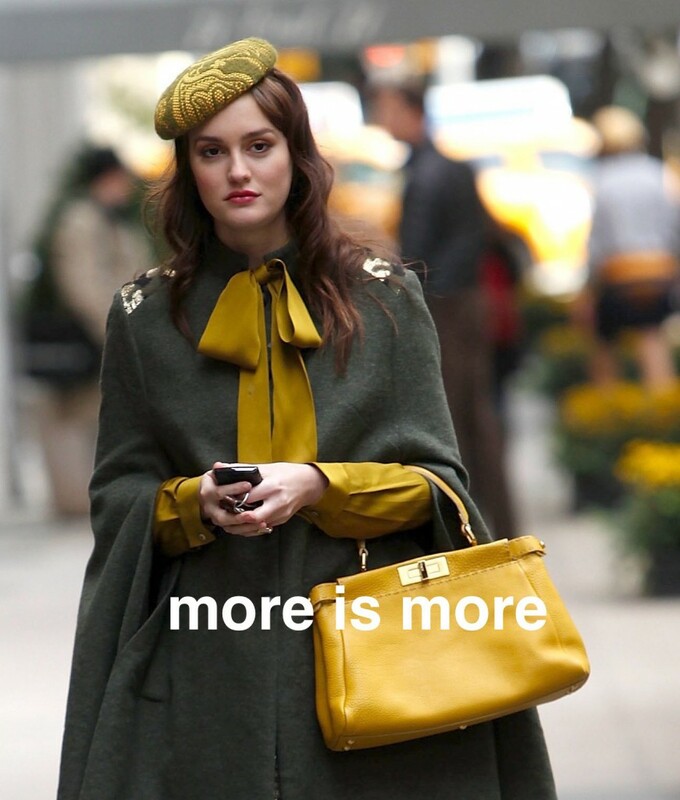 The first show that I loved was Gossip Girl. It was my introduction to a world of clicky heels and dripping pearls, a portal into a world of opulence that is seldom achievable in real life. 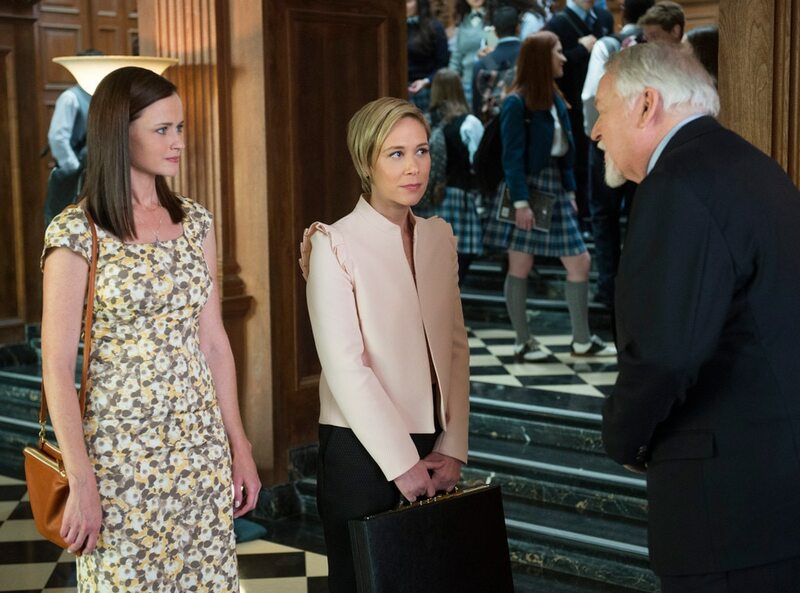 And as much as I love Serena and Jenny, I think we can all agree that Blair was the one who truly brought the sartorial knowledge to the show. Her headbands, bright tights and capes were truly iconic. She never looked understated, and from her I saw that sometimes, more is, well, more. Throughout my life, I’ve learned a lot from TV shows and movies. That Voldemort really can be vanquished, that you should never decide to hatch dinosaur eggs, and that if you’re in a relationship and going on a break, you really have to define that. But I’ve also learned about how to dress through them. Today I was inspired by Luma, a wifi service that actually lets you watch your shows (without buffering, weak spots, or weak a** wifi. Sounds pretty good). 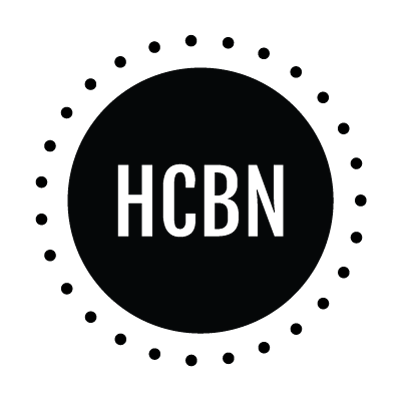 Their unique and customizable surround wifi network insures you get fast network anywhere in your home. Here are some of my favorite, and most fashionable shows and movies! You can’t talk about Gilmore Girls fashion without talking about Lorelai’s tie dye and cowboy boots look for Rory’s first day at Chilton. Even in the revival characters kept up their looks. My favorite was Paris. Her growth over the seasons, and yet the way that she never truly changed, is reflected into her look. The school uniform blazer morphed into a more refined pink jacket, the hair into a sharper bob. She stayed true to herself. 10 Things I Hate About You has strappy tank tops and little braids and all the crop tops you could ever want. The way the sisters’ opinions and style contrast makes it so wonderful for me. You get the sweet, innocent look with Bianca, and Kat’s darker, edgier look. Next to each other, they look all the better. Opposites really do attract. I read A Series of Unfortunate Events as a kid. They were some of my favorite books. The show is amazing too. 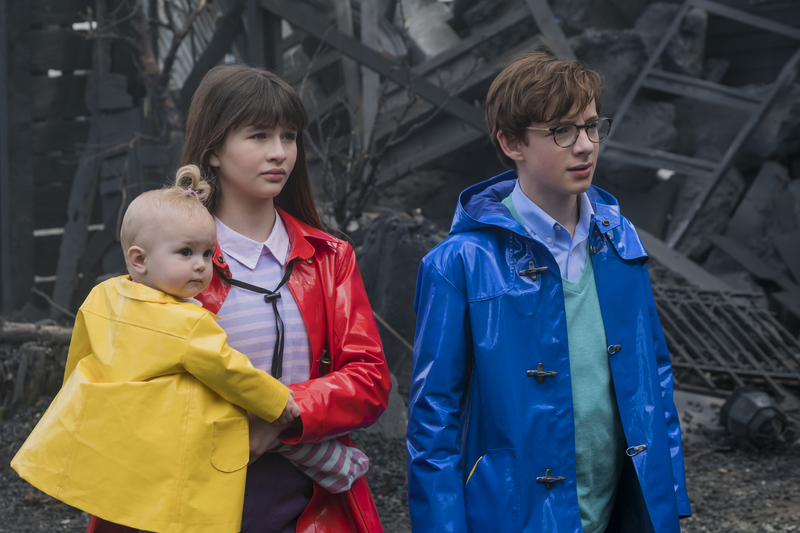 And this scene, with the primary colored rain coats and the aftermath of a terrible fire- wow. 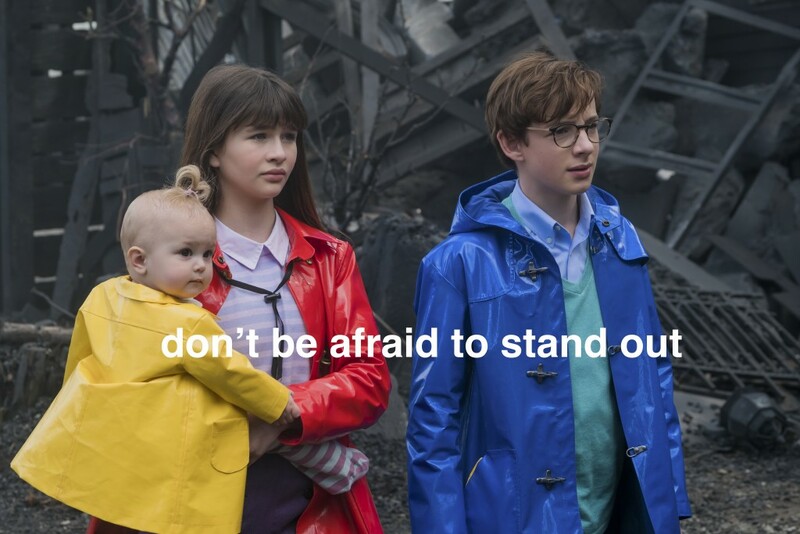 From the Baudelaire orphans I learned that it’s okay to stick out. The First Monday in May is about fashion, so it’s not surprising that it has great fashion. 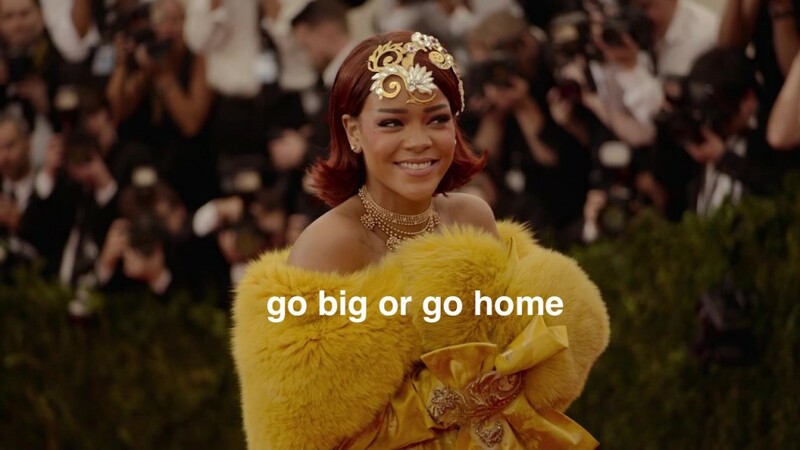 But one word: Rihanna. 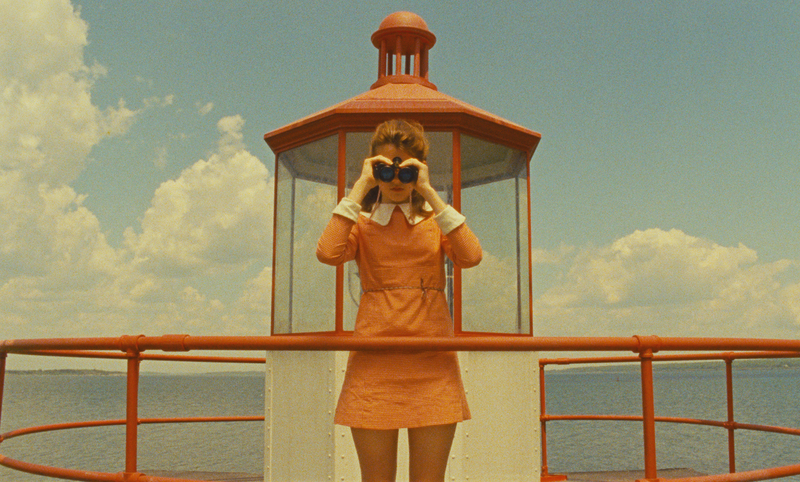 Finally, Moonrise Kingdom costumes are amazing. Suzy’s little pink dress is amazing, but it’s her beetle earrings and bright turquoise eyeshadow that truly make the look. 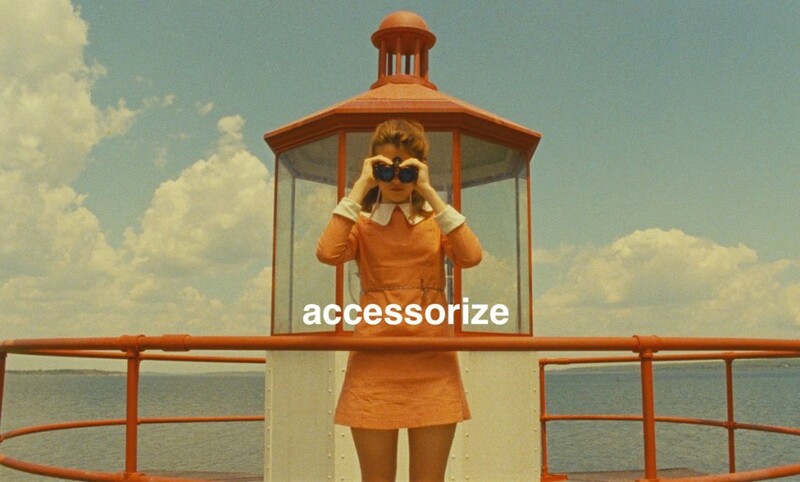 She’s the poster kid for accessorization. Of course, to have the perfect night watching any of these, you have to grab some fancy (or not so fancy, a la Kat in 10 Things I Hate About You) clothes. Why not have a watching party with some of your best friends? Get everybody to dress up for a screening. 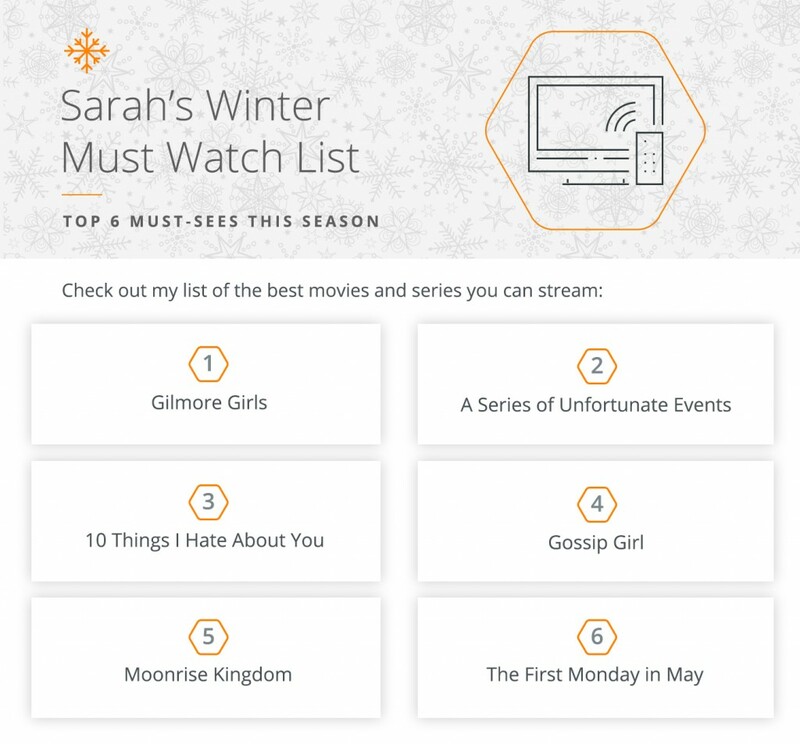 What are your must watch shows? Let me know in the comments! Thanks for sharing these helpful style lessons!